There’s no two ways about it: getting ahead in WoW costs some serious coin, which can be tricky to gather if you’re just getting started… or if you just don’t have a big interest in playing with the virtual economy. However, you can actually rake in quite a bit of gold with a few simple tips, a little time, and a bit of care. 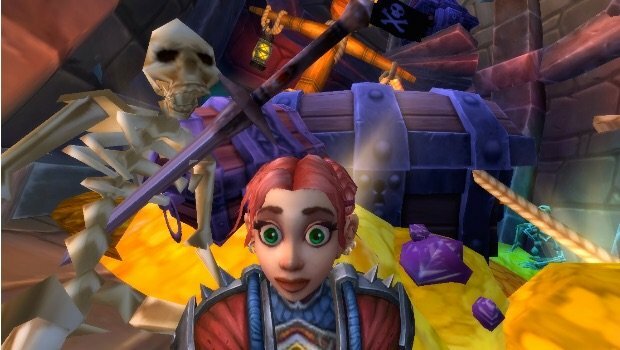 Players at any level should be able to make enough gold to get by, and level 100 players should be able to pick up WoW Tokens to fund their gaming habit — and, yes, without committing too much time or brainpower to the attempt. Let’s dig into gold-making basics. Don’t buy (much) stuff. Though occasionally you’ll run into something that’s worth purchasing (say, stocking up on food, drinks, or potions) there are lots of things in the game you just don’t need to buy, especially while leveling. Gear, especially, is typically a bad buy as you’re likely to quickly level past it. Saving your gold will help it add up in the long run, so don’t spend unless it’s on something you really need. Pick up two (or three) gathering professions. At best, low-level crafting won’t make you any gold… but at worst, making the effort to level a crafting profession will put you in the red. However, if you skip crafting entirely to pick up two gathering professions you can simply throw your gathered materials on the auction house for easy gold. Enchanting can count as a gathering profession, too, by letting you “gather” materials from disenchanting gear you pick up as you progress and selling off enchanting materials. For a secondary profession, consider fishing, which can be tedious — but that means fish can be in demand by players who don’t want to level it themselves. Quest. Though this may seem self-evident, quests offer good coin at any level. On top of that, they’ll help you advance and provide gear that you can use, sell, or disenchant — all of which can help you rake in the coin. Get an auction house addon. If you’ve glanced in the auction house, you might have immediately come to the conclusion that it’s just too complicated to figure out how to make money — but this is where an addon can make your life easier. Auction house addons will track pricing data, show the latest auction prices in item tooltips, and help you list items at current market prices, all without needing you to sort through. We like Auctionator, which is easy to start using as soon as you’ve installed it, but power users may like the extra tools competitor Auctioneer offers. Whichever one you prefer, get it installed and start using it. Pick up everything and sell it. Not everything you encounter in-game will be worth mountains of gold, but it’s all worth something to someone — so pick up everything you see and sell it off. (Be sure to upgrade your bags early on so you have inventory space to pick up everything you encounter; 16-slot Netherweave Bags are often quite affordable on the auction house.) Even selling your items to a vendor will net you a tidy profit over time — plus it’s coin you just wouldn’t have if you didn’t bother picking up items in the first place. So you’re picking up everything you encounter to sell it later — but where should you sell it? Some items you should simply sell to the nearest vendor, but others you’ll want to hang on to and put on the auction house. In Warlords of Draenor, it’s become easier to tell what items aren’t useful for anything and can simply be sold off: they now have a gold coin icon on them when you open a vendor window. These items can be safely sold to a vendor because they aren’t useful for anything else in the game. However, any item that doesn’t have that gold coin icon is useful for something in the game and may be worth some coin on the auction house. An auction house addon is a big help here, because it will add the latest auction info to item tooltips, so it’s easy to make a quick decision on whether you should vendor something or throw it on the auction house. However, your addon doesn’t know everything: though it lists the latest prices it’s aware of, there’s no guarantee the item will sell at that amount… but it gives you a good ballpark estimate. Knowing your server’s economy — and the economy of the game as a whole — can help, too. For example, prices can vary between weekdays and weekends or even hour to hour. Additionally, some items may typically be low value, but gain value if a limited time quest or event requires it, like Dark Iron Ale when the Darkmoon Faire is in town or Small Eggs during Winter Veil. Though you don’t have to have expert-level economic knowledge to make gold, it can help you make more of it. Build up your garrison. As you level from 90 to 100, you’re actually working on your biggest moneymaker: your garrison. As your garrison grows, so can your gold pile. Look at adding money-making buildings like the Barn (for leather, fur, food, and savage blood), the Salvage Yard (to let you collect crafting materials and gear from missions), and the Trading Post (which can help with garrison resources and also give you easy access to the auction house). Do plenty of missions. As you level your garrison, work on building your follower collection — with a focus on followers with the Treasure Hunter trait to maximize your gold generation. Building an Inn/Tavern will help you grab followers with the traits you’re looking for, a Bunker/War Mill will help you gear those followers up for a better chance of success, and a Barracks will allow you to have five extra followers to let you run even more missions. The addon Master Plan will make it easier to manage your followers and send the best teams on each mission without any fuss. Run old raids. Running pre-Mists raids is pretty easy, even for players who aren’t top-tier geared (though better gear will certainly make it go faster). 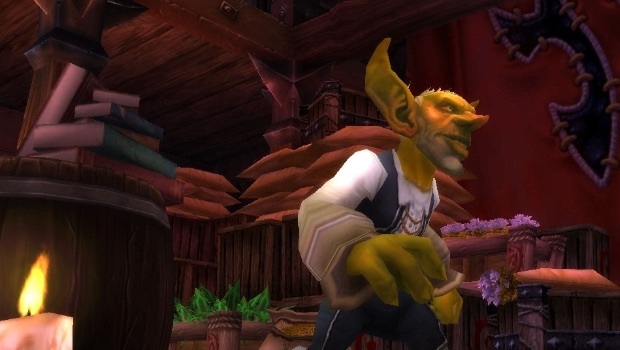 Clear out your bags, kill everything, and loot everything — though a lot of it you’ll vendor, you’re likely to run into a few pieces of bind-on-equip gear that will be in-demand for transmog and sell well on the auction house. Your best bet is 25-player Cataclysm raids, but if those prove too much of a challenge, older raids will still give you great rewards (and the Potion of Treasure Finding can increase your earnings even more). Not sure where to start with soloing? 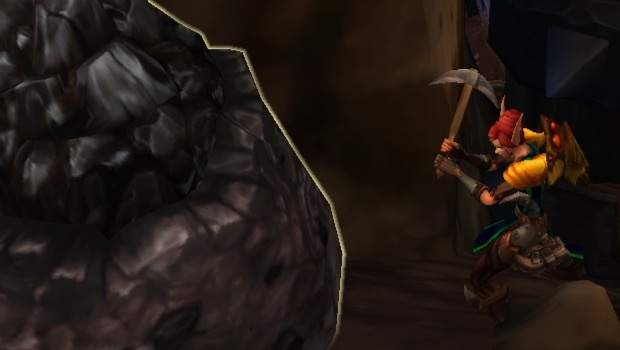 Check out our raid-soloing guide. Have your own gold-making tips? Let us know about them in the comments! And if you have anything you’d like to see us cover in a future edition of WoW Rookie, let us know about that, too.